Vahe Grigorian started his professional career in 1998 with Walt Disney Imagineering. Since 2006 he has been specializing as a freelance illustrator. His work and technique have been recognized as impressive, remarkable, and creative. He creates his illustrations digitally using Photoshop and Corel Painter. Vahe also does custom orders for his clients. Based in Los Angeles Vahe Grigorian has worked for clients all over the United States and the world. His professionalism and artistry are widely respected and valued by all that have had the privilege of working with him. 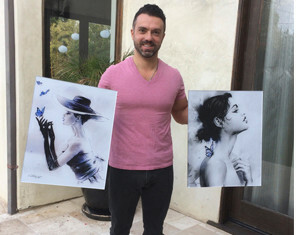 You can find prints of his art work for sale on this website.